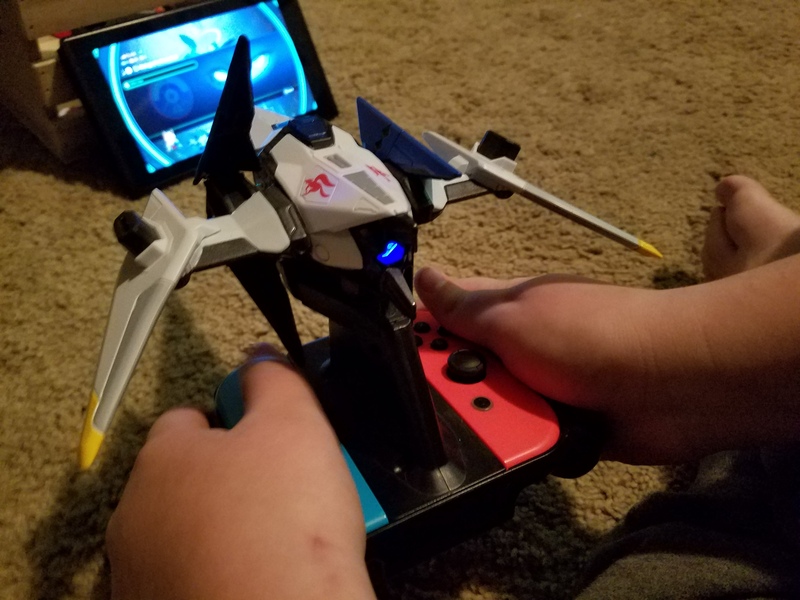 My son is really into video games, like so many kids his age.The new Starlink Game, Starlink: Battle for Atlas brings toys into gaming by giving kids a buildable space ship toy as their controller, and other toys as interactive game pieces. In a similar fashion of “Toys to Life” games such as Skylanders, Lego Dimensions, and Disney Infinity which were very popular but no longer produce much product (if any), Starlink: Battle For Atlas breathes new life into the genre. It combines space exploration and toy space ships which kids will not be able to resist. 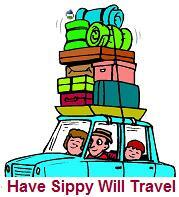 Fun side note for New Jersey residents- all the humans in the game hail from the Garden state. Get outta here indeed! If you have a gamer on your holiday shopping list this year, there are some fantastic games that have recently come out that we think they will really like. LEGO fan? Who isn’t? No matter what age, in this house, everyone likes LEGO. Combine it with video games, then mix in the DC Universe, and you have the recipe for a win right there. “LEGO DC Super-Villains” has just been released, and let’s gamers play as villains for the first time ever. In collaboration with DC Comics and joined up with DC Super-Villains including The Joker, Harley Quinn, Lex Luthor, Deathstroke, Killer Frost, Sinestro, and more from the Legion of Doom, players set out to create chaos and strike out against good. 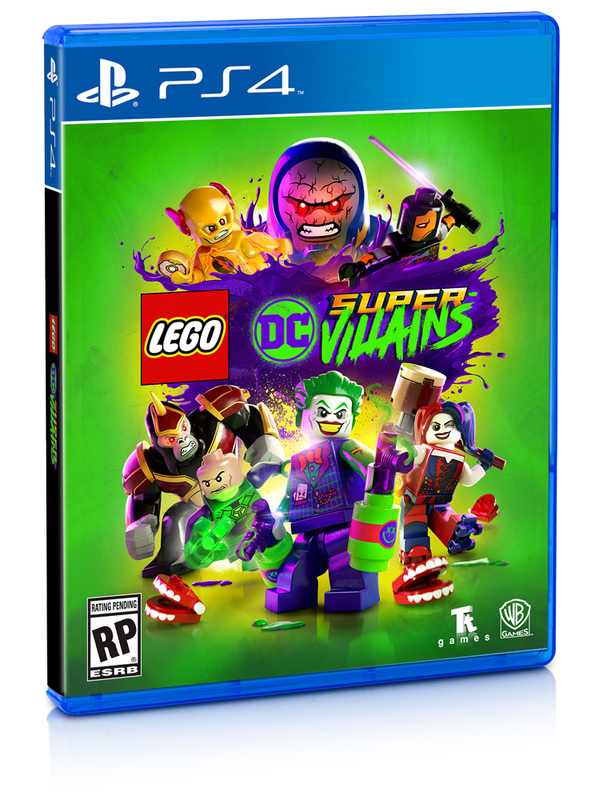 Following the trio of “LEGO Batman” , it is a similar style action-adventure game featuring a features a two-player cooperative multiplayer mode. It is available for the Nintendo Switch, PlayStation 4, Xbox One, and PC. 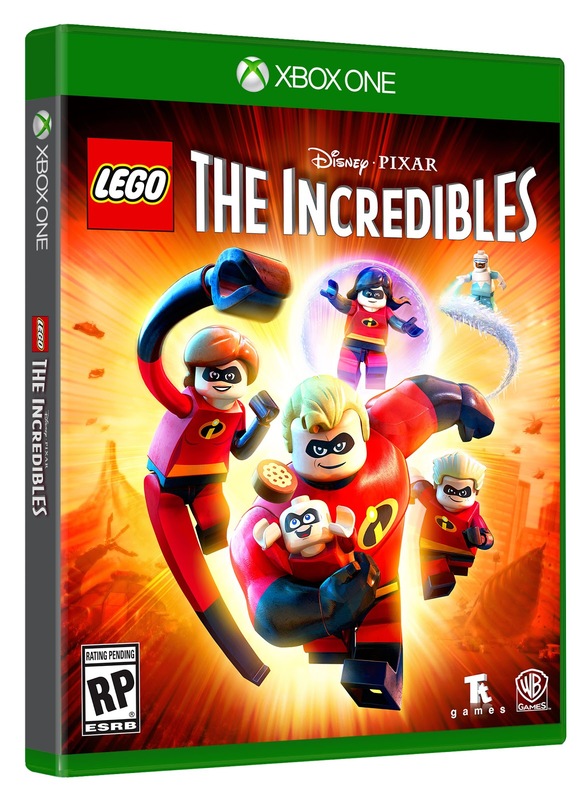 For another LEGO game, check out “LEGO The Incredibles”. Coming out in time to join the new Incredibles movie, this fun-filled game features all your favorite characters getting themselves into and out of trouble. Take control of your favorite Incredible and act out sections from the movie, recreate favorite scenes and home and family life. Make sure you battle and defeat all the bad guys and team up with other members of the family while you save the world, LEGO style. Available for the Nintendo Switch, PlayStation 4, Xbox One, and PC. Can’t get enough LEGO? We were really looking forward to the “LEGO Harry Potter: Collection” game, and cannot get enough of it. The LEGO Harry Potter games were the first ones that created a huge hub to interact between missions or chapters. There are many secrets to discover in Hogwarts and it’s grounds. You can play as many different characters once you unlock them, and you will need to do so in order to progress to different areas. This compilation brings LEGO Harry Potter: Years 1-4 and LEGO Harry Potter: Years 5-7 to the Nintendo Switch and Xbox One with both top-selling videogames remastered into one. This game will cast it’s spell on everyone, young and young at heart alike. Available now Nintendo Switch, PlayStation 4, Xbox One. In the first video of a short series, Nintendo revealed new details about Toy-Con Garage mode, an inventive feature included with the software in each Nintendo Labo kit for the Nintendo Switch system (sold separately). Toy-Con Garage introduces basic principles of technology in a fun way, allowing Nintendo Labo users to combine various inputs and outputs to invent new ways to play. Between now and the launch of Nintendo Labo on April 20, Nintendo will release videos showing off more information about different Toy-Con Garage features and tips. Check out some newly revealed features of Nintendo Labo! Nintendo recently unveiled Nintendo Labo, which combines the magic of NintendoSwitch* with the fun of DIY creations. Nintendo Labo kits offer interactive build-and-play experiences designed to inspire creativity and discovery in people of all ages. And there’s much more left to discover about Nintendo Labo. 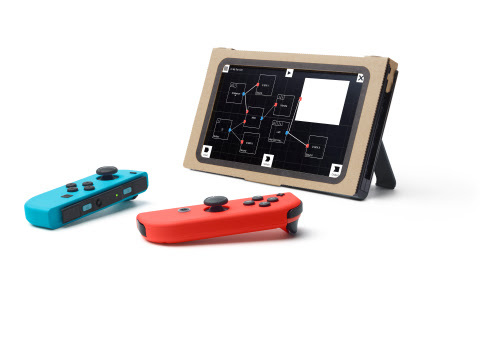 Today, Nintendo revealed three new videos that showed off some more details about Nintendo Labo, as well as additional features of the first two Nintendo Labo kits – the Variety Kit and the Robot Kit – which launch on April 20. All three videos can be viewed here, here and here. One particularly cool feature that’s part of the software included with each NintendoLabo kit is Toy-Con Garage, which can be accessed in Discover mode. Toy-Con Garage introduces basic principles of technology in a fun and accessible way, allowing you to combine various simple inputs and outputs to invent new ways to play with your Toy-Con projects. In addition to Toy-Con Garage, the Toy-Con projects in each kit offer numerous ways to have fun as you Make, Play and Discover different experiences. Build your own wearable Toy-Con Robot suit and assume control of a giant in-game robot, completing challenges and destroying in-game objects to unlock powerful new abilities. While the nation celebrates Random Acts of Kindness Day this weekend, Kirby, the charming hero known for his powerful Copy Abilities, is preparing a celebration of his own at this year’s Emerald City Comic Con in Seattle. Attendees of Emerald City Comic Con will not only be among the first to play the Kirby Star Allies game for the Nintendo Switch system and try out Kirby’s new Copy Abilities before the game launches on March 16, they will also have the chance to earn cool Kirby themed items for being nice to people around them – just like Kirby himself! In Kirby’s new game, he uses a new ability to turn his enemies into friends to create a powerful team to save Planet Popstar. 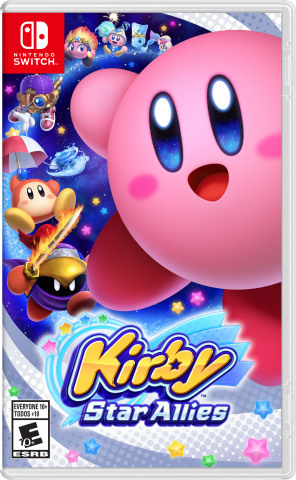 But despite his friendly appearance, Kirby brings some seriously powerful new moves and abilities to his new game that would even impress the most hardened video game players. In fact, Kirby’s moves in Kirby Star Alliesare some of his most powerful and impressive yet. And just like Kirby, attendees of Emerald City Comic Con will have the opportunity to unleash some powerful moves of their own – the power to make the world a better place through acts of kindness! Kirby would be so proud. Select Nintendo representatives will be walking around Emerald City Comic Con March 1-4 to reward people for performing random acts of kindness for other people. If these mobile Nintendo teams catch a Comic Con attendee doing something nice, from holding the door for a stranger to picking up litter, that person will get the chance to earn fun Kirby themed items. These same mobile teams will also be surprising people waiting in lines around the convention with the opportunity to play Kirby Star Allies for Nintendo Switch in Handheld Mode. The game will also be available to play at the Nintendobooth in TV Mode. Got gamers? Us too. These are a few of the titles that have our kids (OK, and maybe us as well) occupied during rainy days and cold nights. 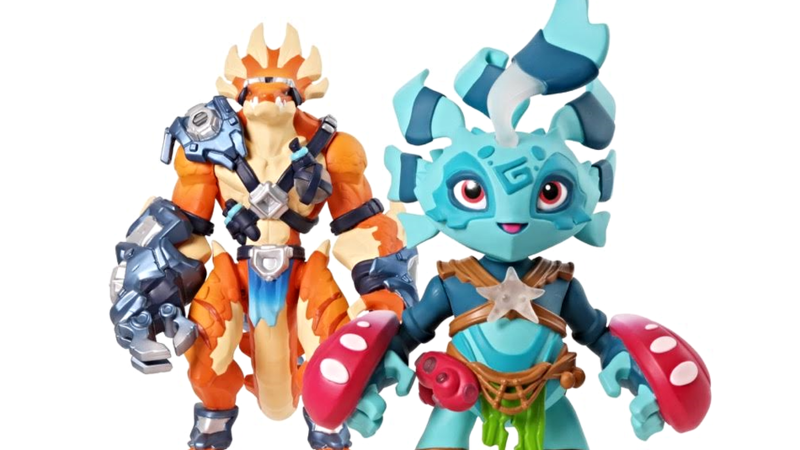 Lightseekers from TOMY is an app that you can play with by using just the app, or by connecting toys or trading cards with it. 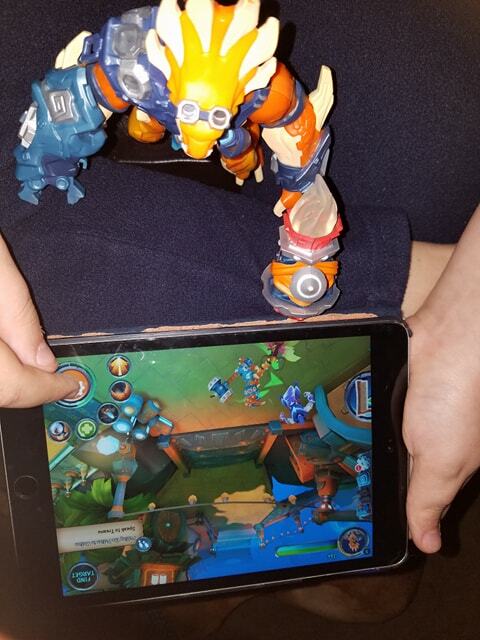 Using “Connected Play” , a “proprietary technology platform that integrates video games and smart action figures” with Augmented Reality, Virtual Reality, and Artificial Intelligence with trading cards and figures and more into the app experience. Use the figure as a controller to the game, which is a fun and pretty unique experience. I’ve not done that before, and it was pretty neat. No portal needed in which to put the toys, you just need the app and your tablet and that is that. They interact with each other and the app via bluetooth. 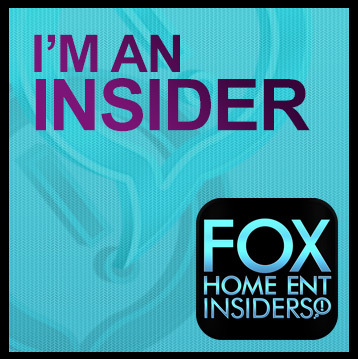 The interactive trading cards brings features into play and into (virtual) reality as you use them as well. 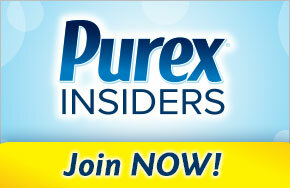 The game gets better as you use it, based on feedback, reviews, gameplay, and more. Starter packs available for about $40 at stores like Toys R Us. 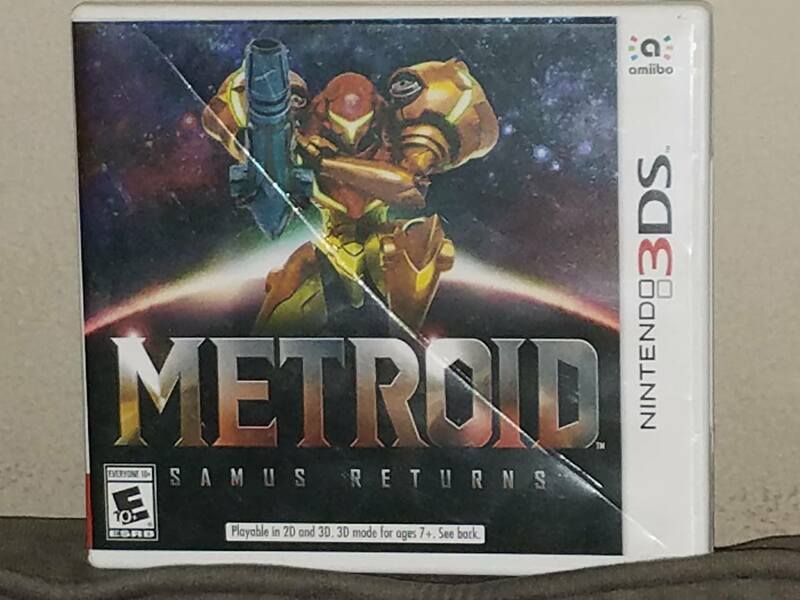 For the fans of the Nintendo 3DS, there is Metroid Samus Returns. Bounty hunter Samus Aran is back to finally rid the planet of the menace that is known as Metroid. A “part two” (if you will) of the 1991 Game Boy classic game, Samus Returns has new moves, upgraded weaponry, and of course foes that just won’t quit. It’s a great game for fans as well as those who have never played before. The game is $40 and for the 3DS family only. There are amiibo for the game as well, Samus Aran as well as Metroid. 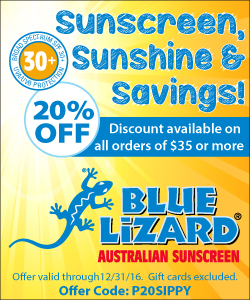 The 2 pack is about $30. The LEGO NINJAGO Movie has been widely anticipated, fans have been eagerly awaiting it’s arrival. As eagerly awaited has been the The LEGO NINJAGO Movie Video Game, which is based on the brick flick. Fans will have tons of fun battling enemies as they take on the persona of their favorite Ninjago heroes- like Kai, Cole, Zane, or Master Wu – as they fight to defend their homes from Lord Garmadon and the evil Shark Army. Available for about $40 and for many gaming platforms. 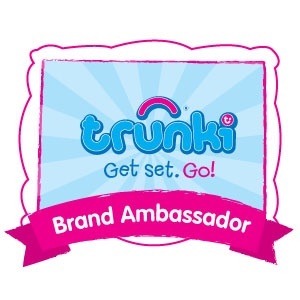 Looking for some fun games to play with the kids? We have some suggestions. Mario Kart is one of those games which turn a room full of strangers into a room full of new buddies- or at least rowdy racers. With equal parts skill, luck, and know how, Mario Kart has consistently been a gem of this gaming’s generation. 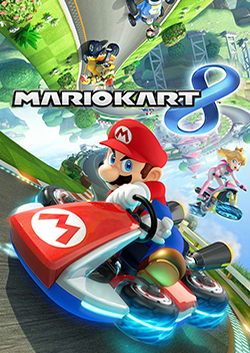 The latest in the franchise, Mario Kart 8 Deluxe, dare I say may be the brightest gem so far. With almost all characters unlocked to begin with, this game is built for multiplayer. As the new Switch will show you, it is easy to grab a controller and play. Each player takes the mini controller for their racer and plays. With tons of characters to choose from, everyone can pick their favorite without arguments. Characters of different wights and sizes act differently and effect your controls, as do the type of vehicle and even the tires selected. The game also includes support for amiibo’s and amiibo cards, which unlock more content in game, allowing for even more customization. Mario Kart Deluxe 8 is available no for $59.99 from retail locations of via download fro the eShop. We have two indie titles- one for the 3DS and one for the Playstation 4. Fun, inexpensive, and most gamers will enjoy them and be able to play (no master skill sets required). This is the third Box Boy game in the line, Bye Bye Box Boy , is a game where players use the power of boxes to solve various puzzles as Qbby. This game is an enjoyable puzzle game which is simple to get into, but difficult to put down. My 9 year old has loved every Box Boy game and this is no different, but now with a few additions like 4 new powers, baby boxes to rescue, and new environmental issues to contend with (like water, wind, and scales) there is more to do. He enjoys the Box Boy series- it’s tough but not too tough for him to figure out after thinking about it and trying a few things, or in some cases, with some help from Dad. 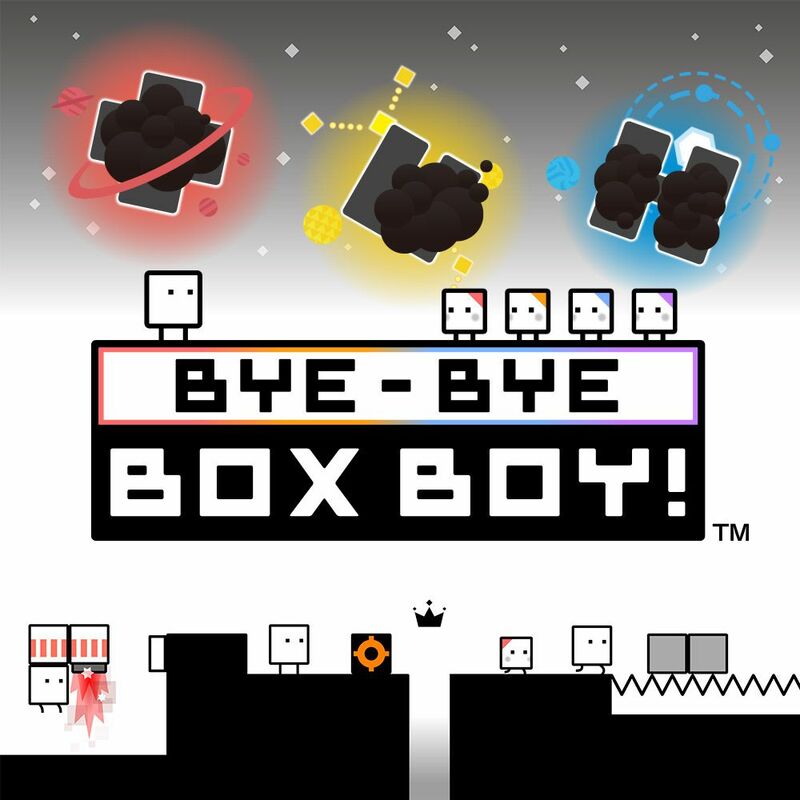 Bye By Box Boy is available now on the eShop on the Nintendo 3DS and retails for $4.99. Mario Kart is one of those games which turn a room full of strangers into a room full of new buddies- or at least rowdy racers. With equal parts skill, luck, and know how, Mario Kart has consistently been a gem of this gaming’s generation. The latest in the franchise, Mario Kart 8 Deluxe, dare I say may be the brightest gem so far. With almost all characters unlocked to begin with, this game is built for multiplayer. As the Switch will show you, it is easy to grab a controller and play. Each player takes the mini controller for their racer and plays. The game runs at 1080p, and the graphics are spot on- levels pop with textures and colors, with characters smoothly running along the tracks. Every track from the Wii U version of the game is included, including DLC, which makes a glorious return. Plus, the Inklings appear as all-new guest characters, along with returning favorites, such as King Boo, Dry Bones, and Bowser Jr. My personal favorite is green Shy guy, because he reminds me of Christmas., followed very closely by Dry Bones. My son favors likes Link or Yoshi.